This week I posted a review of a paranormal historical series in the Romance Package that I thoroughly enjoyed! It’s The Brotherhood series by Adele Clee. Check out my review. And I made a list of all the reasons why the Romance Package is so awesome but also included what I don’t like so much yet. Yesterday’s post I need to explain a bit first. I’m currently preparing a list of audiobooks with a specific theme. I had already listened to a few that I loved but wanted to add a couple more. When I searched around, I found two audiobooks that fit my theme and are also very new and very popular. Long story short, I stopped listening to both of them after about an hour each because I hated the heroes with the burning passion of 1000 suns. You guys know how much I love my Romance genre. Heck, I wrote an entire long post defending the genre and explaining why it is so awesome and so important. But just like there are a few ice cream flavors that I can’t stand, there are also some Romance novels I don’t like. Well, this is actually a bit more than me just not liking them. I think they are problematic because they are misogynistic. And that’s something that I really truly wish was not an issue in a genre that is mainly written by women for women. So, if you feel ready, go ahead and read my rant of things I don’t want to read in Romance anymore. So, here’s what I also listened to. You see, I needed something to counter the bad stories that sparked my huge rant. Which meant I went for the polar opposite: Romance heroines who sleep around! I listened to Sweet Obsession** which was really cute. It has a super cheap Whispersync deal on top of that, so consider picking it up. And now I’ve just started with Groupie** which is in the Romance Package. If you aren’t sure how to get the cheaper deals with Kindle Unlimited, check out this post first. 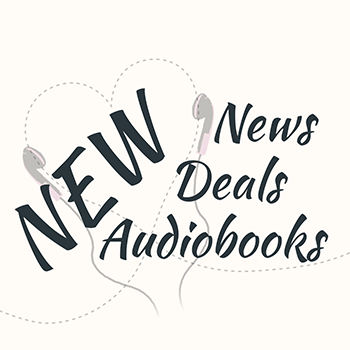 Next Why the Audible Romance Package isn’t only for Romance readers! It’s always lovely to spend some time in the sunshine. It’s been raining the entire week again 🙁 I’m so happy I made the most out of that short reprieve!